Now let me give 7 actionable link prospecting tips to help you continuously add backlink targets to your link list. List posts are basically a curated content of the top blogs in an industry as well as the top bloggers and influencers to follow in the current year. You’ll see most of this type of content in any industry, as it is attracts readers who want more information on which blogs to read – very useful for starters. So how you can look for those pages? Based on our internal research, we’ve found that there are 70% of new link prospects you can get from lists posts, even if you reached 200 or 300 blog prospects already. When checking blogs in lists, make sure you check if the website is functioning properly, the blogger still owns the site and most importantly, if it’s feasible to reach out to the blog owner (if the blogger has an available contact information). Bloggers have their own pages designed for personal services/products. If you closely take a look at them, they have a similar page title for that webpage – “work with me” or “contact me” page. Using this good search queries to your link prospecting databases will leave you some blogs you haven’t found anywhere else. The good thing with this link prospecting approach is that these blogs, gathered through “work with me” [ keyword ] and “contact me” [ keyword ], have high chances of responding to your pitch and even in converting to as linkers. They won’t add these pages to their websites if they aren’t willing to be contacted on a regular basis. However, there are bloggers who will redirect your email to their assistants or co-member of the organization, but these are pretty rare cases. Bloggers who have a basic technical knowledge in SEO (search engine optimization) know which pages need to index or not. They make sure their keywords are placed in their category titles. 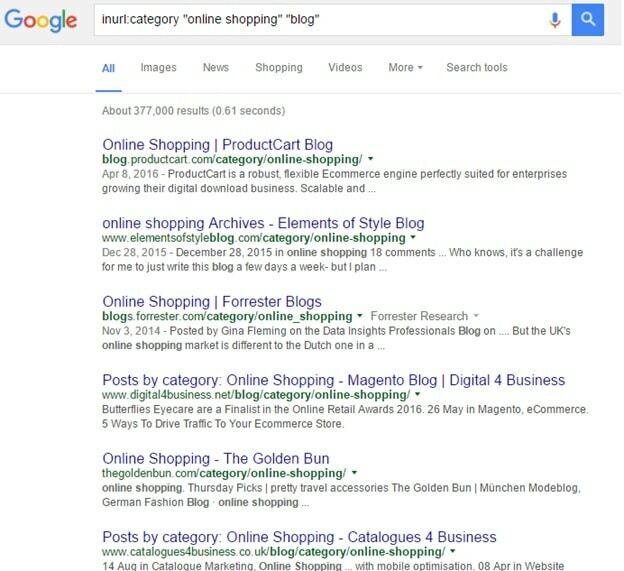 For not so SEO-savvy bloggers, they still index their tags in Google. Knowing these things is a huge advantage on your end trying to find blogs with indexed categories and tags, with keywords placed in them. 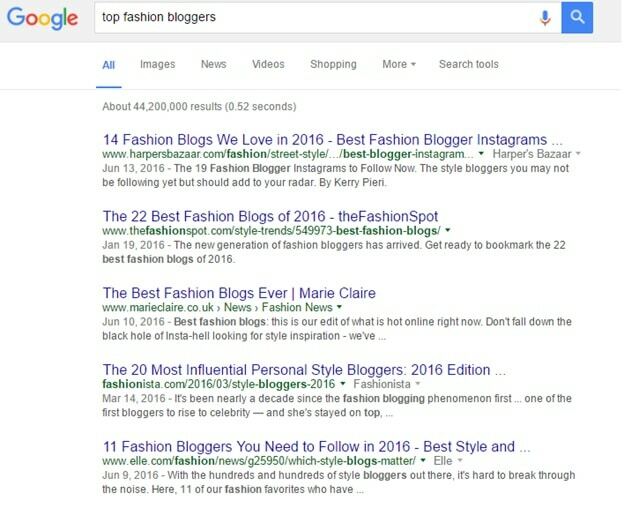 You can add your keyword to inurl:category and inurl:tag search operators to find qualified blogs that you can add to your blog list. If you’ve been reading your blog comments, you can find some gold mine blogs from there – some of which you simply just ignore, but have linked to blogs with good authority. Check if those people who comment on your blog have their own websites, then qualify them based on your metrics. You can actually use Google searches with a touch of comment sections of blogs. The advantage of using the above searches is that you are pre-qualifying blogs that is actually owned by a single author from blogs that are owned by companies. If you are reaching out to a company member (owner or manager), it would be pretty hard for you to acquire links from their blogs because of the busy nature of their work. Compared to sole bloggers who are mostly full time at blogging, it would be easy for your pitch to penetrate a conversation. I never shared this tactic anywhere. There is one search operator that provide us the highest number of qualified blogs and with the fastest time period (i.e. 50 qualified blogs in 15 minutes through manual search). It’s one of the underused search operator by link builders, but by far, our most favorite search operator – it is the allintext search operator. Allintext search operator, if you’re not familiar with, allows Google to filter pages/sites that have the keyword (exact keyword if you use quotes – “ “) in their webpage. 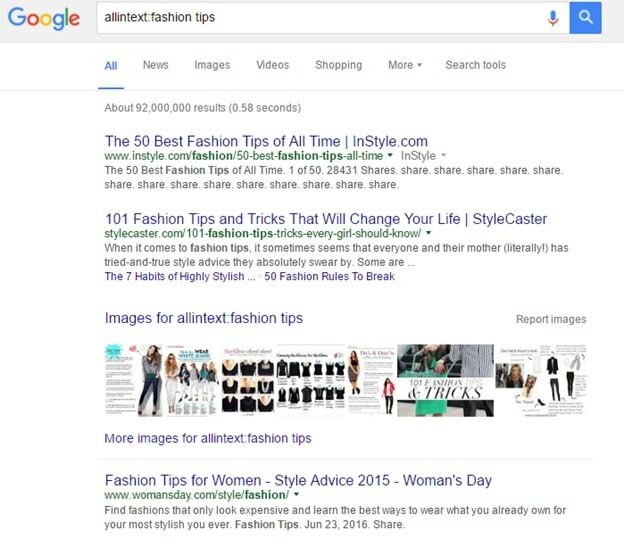 So if you type, allintext:blogging tips in Google and click search, you’ll only see results that have the keyphrase, “blogging tips”. This is an additional search operator you can frequently use aside from the traditional search operators, inurl and intitle. You can also use country domain extensions to get country-specific blogs, check out this resource for more tips. Social media platforms are still profitable backlink sources even up to this date, since you can always find new users who had recently signed up for new accounts. In blogger outreach, using Twitter as a link prospecting tool is very promising. With good search queries, you will be able to find new blog prospects that you can’t simply find using search engines. Take note that not all bloggers are knowledgeable in SEO, so I’m pretty sure they don’t know much about how to rank a blog in Google. Going back to Twitter prospecting, there is an easy way to find high-quality blogs without the use of Twitter searches like “ [ niche ] bloggers” straight on Twitter search bar. With the use of Listpedia, a recently launched Twitter prospecting tool, you’ll be able to find relevant lists of Twitter in your industry. As you can see in the image above, I simply type in a generic keyword, “personal finance”, which helped me landed Twitter lists in the finance sector. These lists, when checked for Twitter users who have their own blogs, can be your regular prospecting technique. Link prospectors often burn out with using the same keywords and search operators for a particular link building campaign. If you have a team of link builders, prospectors, virtual assistants or marketers, one way to get them fired up with new keywords is to assign different people to one link building campaign. For example, for a blog prospecting campaign, the person you assigned to this month shouldn’t be the same person who will work on it next month. Same goes to your broken link building campaign, so on and so forth. Different prospectors have different ways to find keywords, i.e. some of them may be using Thesaurus, others may be using what, when, where, why and how + keyword strategy. In this case, there’ll be more chances of getting more blog prospects in your list if you allow different people with different prospecting strategies to work on one campaign. They can target different niches for one campaign. Let’s say for a travel client/website, one prospector will tap specific travel, others will focus on local travel, and there are prospectors who will target travel for seniors and travel for parents. In other words, if you have different team members who can work on a similar campaign, it is best to reassign them so you can speed up your blog prospecting campaign. Another tip here is to create a team research report for your prospectors or virtual assistants to see what keyword and search operator (search phrase combined) they are using to find high-quality blogs. 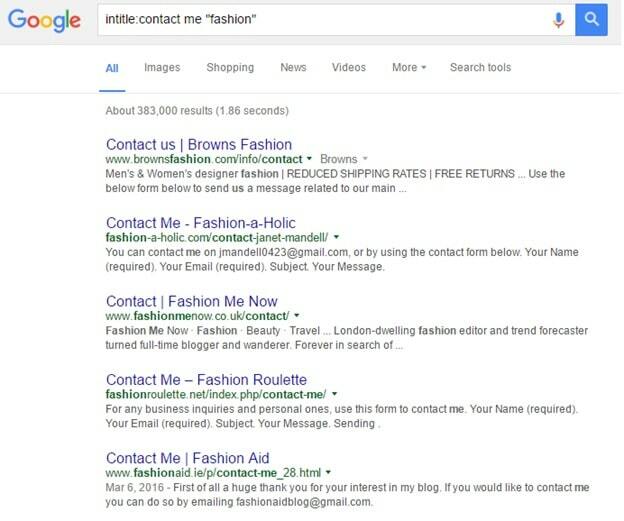 This will help you avoid using the same search queries another prospector used for a specific campaign. It’s also a brainstorming tool to give more insights to your team on which technique they should be using for a particular campaign, very useful if you have different websites in various industries.